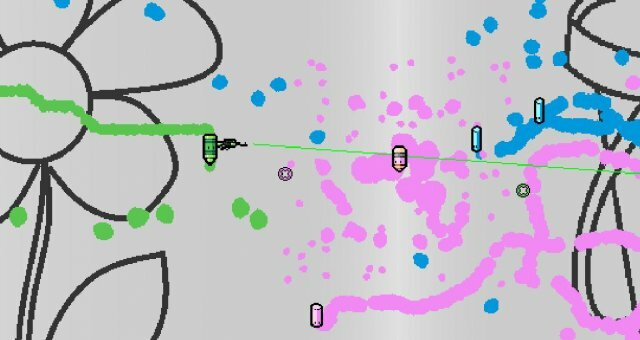 In this game, you are a sentient coloring tool that fights to the death to take up most space on the drawing paper. Winning as either one of the three characters for the first time awards you with an achivement (for each one respectivley) and the knowledge that you just scarred a child who only wanted to color a bird. There is one more achivement though, and it is the hardest to get. How you get it is to have twice the paint coverage than the second player. It sounds easy enough, until you factor in that there is other players. Not to mention the use of different weapons that can insta-kill you. This all can be dealt with with this method. You should start every game with Ballpen Blue as he can take two hits (survival is important). At the start of the game you should have the brush weapon equiped. Move as soon as you can and hold the left mouse button the use the brush at all times. Kill of the other players as soon as you can so you get more area before they respawn. They will have little to no chance to cover area. This will also make them respawn without a weapon. Rinse and reapeat. The only issue is weapons. If an enemy gets a weapon, they can become problematic. Depending on what weapon they're using, they can get more area or kill you. The only real dangers are the rifle and the paint bucket. The rifle shoots out fast projectiles that can kill you. 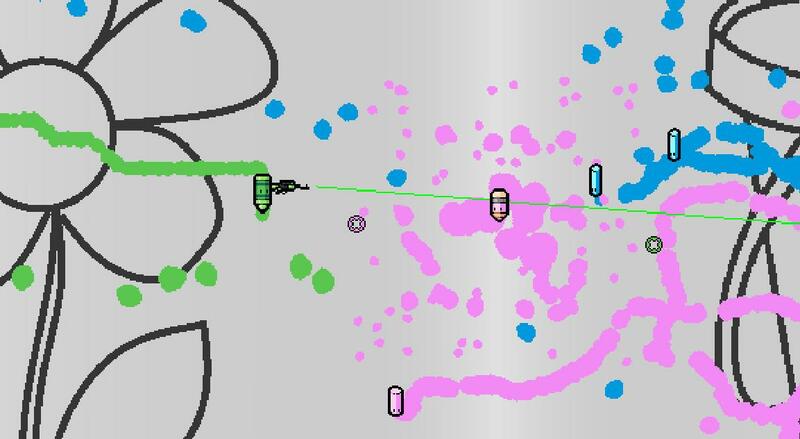 This is why you need to be ballpen Blue, so absorb a hit and kill the enemy with a rifle. The paint bucket cant deal damage, but it puts out alot of paint. It may fade out fast, but it can ruin your chance of the achivement at the last seconds of the game. The only other tip I can give is to corner pink pencils with your brush.